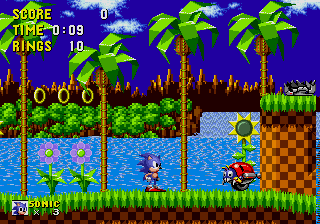 Sega's restructuring plan gets heavy with the cuts. Having announced its intention to massively restructure its business earlier this year, Sega has now revealed that the first step of its $83 million transformation will be the closure of several offices in France, Germany, Spain, the Belgium-Netherlands-Luxembourg area, and Australia. Offices in the United Kingdom will remain untouched, with The Creative Assembly and Sports Interactive destined to continue work on Total War and Football Manager respectively. With these offices closing, third party groups have been brought in to deal with distribution across Europe and Australia. Sega reports that Koch Media will handle business in Germany, Switzerland, France, and Spain, while Level03 will take care of things in the Belgium-Netherlands-Luxembourg region. 5 Star Games will take over in Australia. The closures form a big step step in Sega's plan to streamline its business by focussing on its "core" IPs in addition to its digital releases. Jurgen Post, COO of Sega Europe, explained that, "Sega is entering a new and exciting phase that will position the company as a content-led organization maximizing sales with strong and balanced IP such as Sonic The Hedgehog, Total War, Football Manager and the Aliens franchise." "At the moment for us those are the four IPs we are talking about, they are our AAA IP," said Jurgen. "At the moment we are looking into options of course, but it's not like we are already developing some other titles in addition to that, no." Jurgen concluded, "It's still a fantastic business, because if you combine everything it's massive and it's growing. But we had to make the changes we are making right now, in order to be better prepared for the future." Sega is yet to release details on the number of job losses these closures will incur, and Jurgen was unable to pinpoint dates beyond saying that the company is looking to have the offices shut down "towards the end of the year."